Ariel Zinder was born in 1973. He lives in Jerusalem, where he was one of the founders of the Ktovet Group and the Poetry Place. He has been publishing poems and translations since 1999. His publications include: MeShakespeare Be'Ahava [From Shakespeare With Love, translations of 24 of Shakespeare's sonnets, 2000; Oniot Tarshish [Ships of Tarshish], poems, 2007; and K'tovet – Shirim Ve'Sippurim [Ketovet – Poetry and Prose], a collection of poems by Ketovet members, 2008. Some of his poems have also appeared in English translation on the PIW website (2009). Ariel Zinder is a teacher of literature and creative writing for young people and adults, and a post-graduate student in Literary Studies, specialising in Medieval Hebrew Poetry. 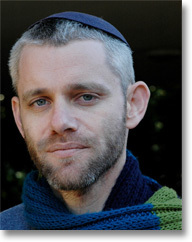 In 1994, he won the prize for young poets awarded by the Israeli Ministry of Education and Culture.